MANSFIELD, Mass. 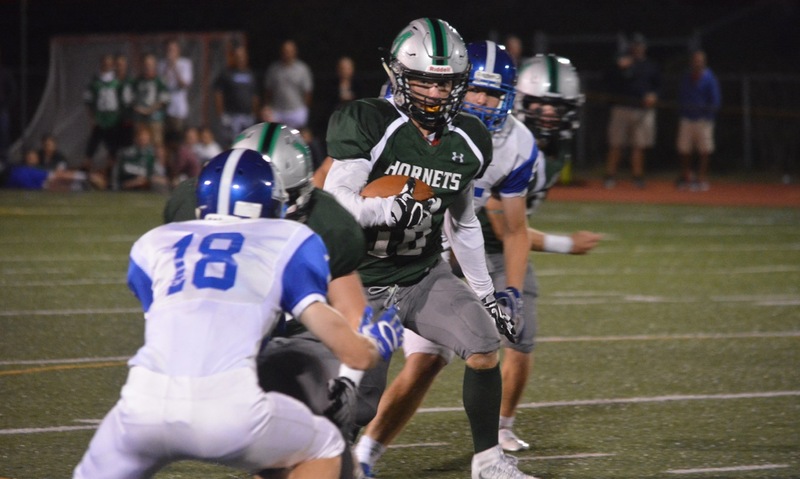 – The Hornets trekked into the locker room trailing by just seven points against St. John’s Prep, widely considered one of the top five teams in the state. Head coach Mike Redding knew his team had not played its best in the opening half but was feeling okay as his team was still in the game. “We start off okay and then we just got very sloppy and they adjusted to some stuff we did on the first drive, but then we go in at halftime and we’re playing not very well and kind of sloppy but we’re only down seven,” he explained. Redding knew that if his team could just keep the lead to one score in the fourth quarter then the Hornets would have a shot at the upset. Unfortunately for Mansfield, Prep’s offense found its groove in the second half. 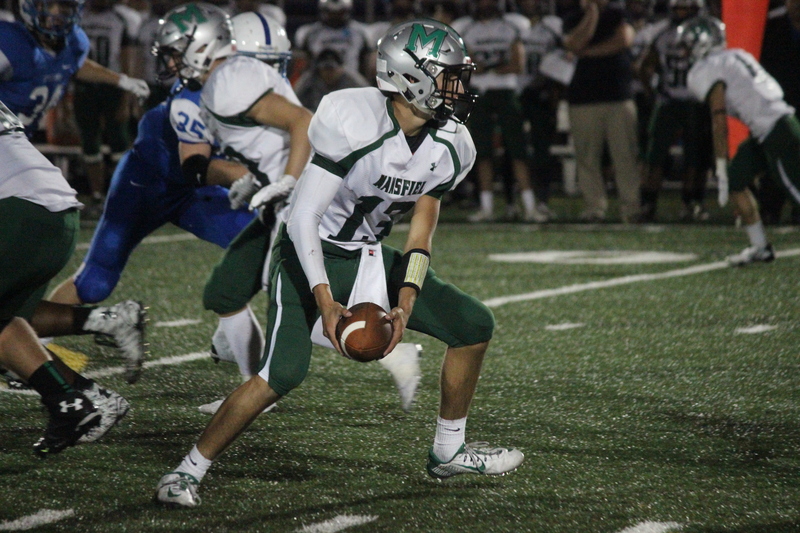 SJP senior quarterback Ollie Eberth threw four touchdowns and ran for another and junior wideout Hayden Rockett caught three touchdown passes, as Prep scored 28 second half points (21 in the fourth quarter) and rolled to a 42-14 victory at Alumni Field. Mansfield got off to the perfect start. 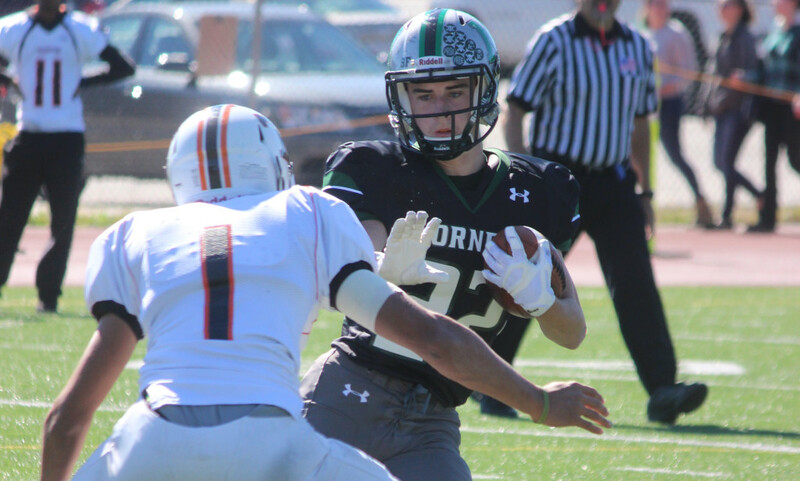 The Hornets took the opening kickoff and marched 65 yards on 12 plays, chewing nearly seven minutes off the clock, before junior tailback Brian Lynch finished the drive with a five-yard touchdown. The lead lasted less then two minutes. Prep answered with Eberth (11-12, 203 yards) hitting Rockett (seven receptions, 144 yards) on the outside for a 22-yard score that tied it at 7-7. In the second quarter, Mansfield had the ball and was driving inside Prep territory. Connor Finerty (nine carries, 33 yards) was stopped a yard short on fourth and two from the 41-yard-line. On the very next play, Eberth took a keeper 60 yards to give Prep its first lead. Prep, which was getting the ball back to start the second half, put together a late drive to try and double the lead before the break. 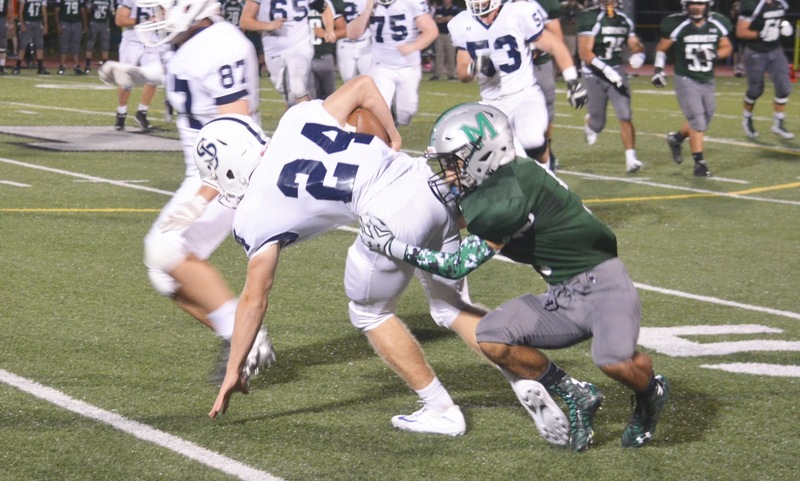 Mansfield needed a defensive play and senior Josh Shafer provided three in a row on two sacks and a tackle for a loss to end the threat and keep it a one score game. The execution was much better in the third quarter by just getting the ball into the hands of Rockett. He took a swing pass and weaved his way through would-be tacklers, reversing field, stepping back away from defenders, and somehow breaking away for a 52-yard touchdown early in the third that made it 21-7. The Hornets would not cave. After a good open-field tackle on the edge against Rockett forced a Prep punt, Mansfield got the big play it needed when Nick Graham (seven carries, 73 yards) broke free on a 48-yard sweep to the left that put the Hornets inside the five. 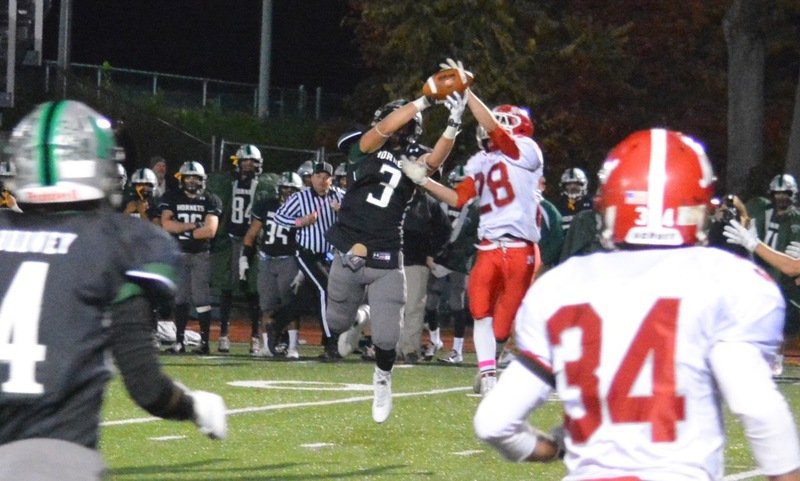 Three plays later, Lynch (the 2014 HockomockSports.com Underclassman of the Year) punched it in from two yards out. Once again, the visitors came right back and (once again) it was Eberth that finished off the drive by hitting Rockett down the far sideline and the junior somehow wiggled away from a tackler for a 24-yard TD that made it 28-14 early in the fourth. After a Mansfield punt, Eberth used play action to find a wide open Declan Burt on a crossing route for a 19-yard strike that put the game away. Prep would score again in the final minute to add gloss to the final score. Mansfield showed signs in the running game, but struggled against the Prep pass rush, which rarely needed a blitz and relied on its size advantage at the line of scrimmage. Mansfield will travel to Haverhill next Friday night.